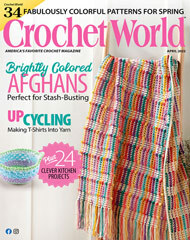 I want a full year of Crochet World (plus one free issue); bill me later for ONLY $21.97 + $2.98 delivery. That's 7 issues for the price of 6! I can cancel, keep the free issue, and owe nothing. Are you ready for summertime stitching? 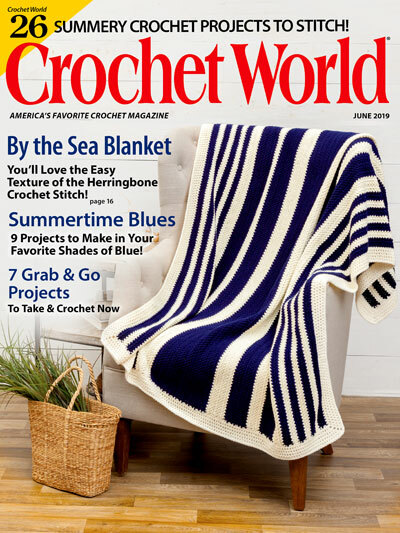 Then you’ll love this June issue of Crochet World that's absolutely bursting with bright and breezy crochet projects sure to keep your hooks flying all summer long! Take your crochet on the go with the Perfect Project Pouch. This innovative project bag features a yarn-feeding grommet hole that allows you to easily crochet as you travel and keep your skeins neat while you work. Let’s hit the beach! The By the Sea Blanket features crisp navy and natural stripes that give it a classic nautical look—perfect for seaside, lakeside or poolside. Who doesn’t need a guardian angel? 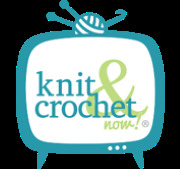 You’ll love stitching your own little Crochet Angel to watch over you as you crochet. She comes complete with her very own little ball of thread and doily in progress! Plus, you won’t want to miss the Layers of Lace table topper that won first place in the Crochet Thread category at the 2018 Crochet Guild of America conference. Get all this and more when you download (or subscribe!) today!